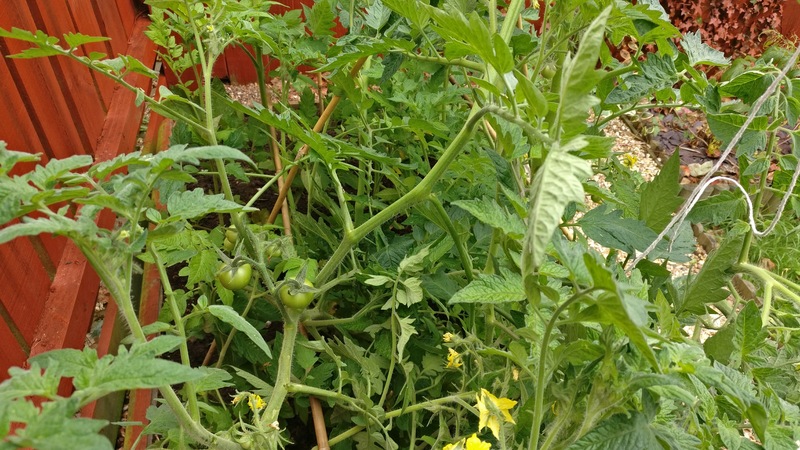 Growing Tomatoes to harvest in the same year! Over my exams I began growing tomatoes from seed and would monitor their progress as a creative outlet as I took breaks from study, the seeds I used for my first batch were gardeners delight, as they seemed the best fit for my plant bed, and with it being February it seemed the optimal time to grow them, as the harvest months would be July to October, I decided to try to get a first year batch by accelerating the growth of the seedlings as much as possible. To start with, I used a simple tray filled with topsoil which in hindsight was a bad idea, as it would have been better to use potting soil or something with more nutrition as I believe that In using topsoil it made the plants have thin roots and wispy stems at the base of the plant. The first few days were good, keeping the first batch damp germinated the seeds quickly. Then, once the seeds started to grow, It was time to accelerate growth and they grew much quicker and healthier with a consistent outdoor sun. 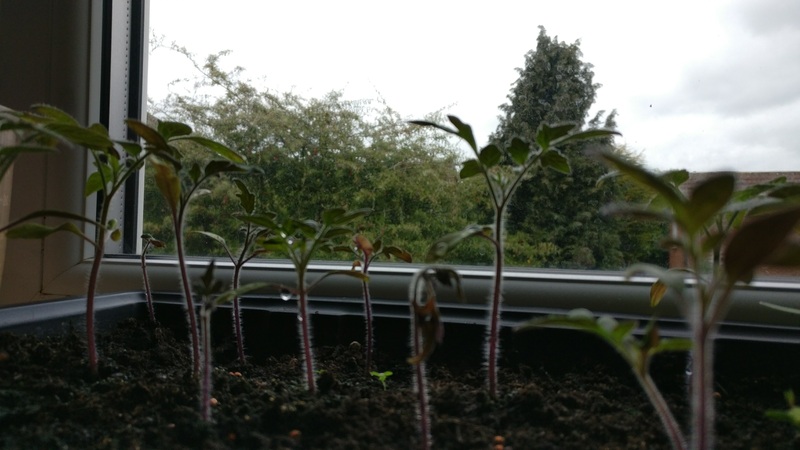 Once they became too big to fit under the window, I moved them to the bed, I moved the first batch, and then the second a few weeks later, when I was sure that they could survive the outdoors. Sorry for the bad picture, but it’s the only one I had taken. I also gave them some plant food which you can see is the little balls to the edge of the plant. Overall this year’s crops should be good tomato wise, and I’ll keep you posted on the results. I think some of my biggest mistakes were over-watering and over feeding the plants made some of the leaves edges yellow and dead, which quickly disappeared after they were moved into their new permanent home but definitely something I wish I had been a little easier going with them. 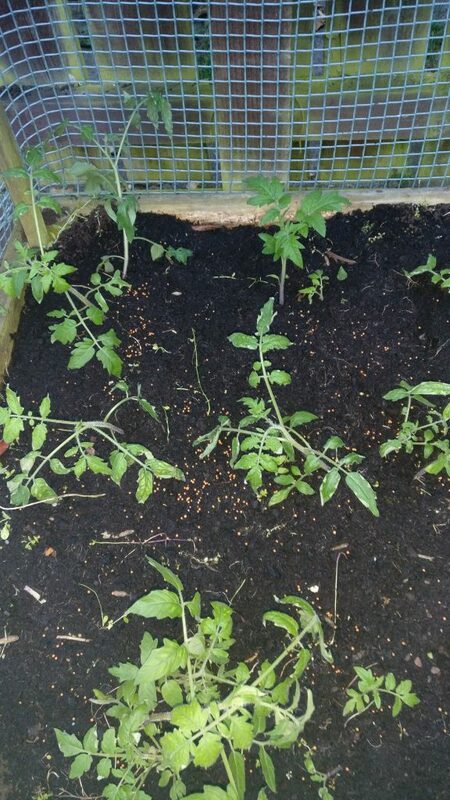 The tomatoes are now secured in their own plant bed, which previously was the home of some unsuccessful corn and lettuce.